Join the FRT for another gorgeous Disney musical! 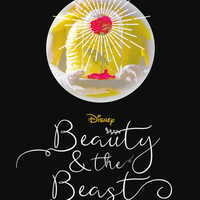 This “tale as old as time” tells of Belle, a young woman in a provincial town, and the Beast, who is really a young prince trapped under a spell. If the Beast can learn to love and be loved, the curse will end and he will be transformed into his former self. But time is running out – if the Beast does not learn his lesson soon, he and his household will be doomed for all eternity. This spectacular story brings the community together for a celebration of family theatre at its finest. Additionally, join us after the first performance for an exclusive opening night party featuring complimentary food and beverages, a photo booth, and a meet and greet with the cast and creative team! The opening night party is included with a ticket purchased for opening night, April 12th, and will follow the show in FRT Lobby. All Theatre and Dance majors and minors are invited to attend free of charge. The person who safeguards the computers, networks, software, hardware, and data from malware is termed as Cyber Security Engineer. They use various techniques and methods to provide cyber security. The main reason behind this problem is lack of security, which means that we are at risk. A security system is said to be well established if it is multi-layered connecting various fragments such as computers, network, data, etc. Every organization which has a well-built IT infrastructure It’s their responsibility to protect it from cyber-attacks. So, don’t let threats approach you, protect each and every element by providing the best security. Build a rugged security framework, ensuring that organization is not subjected to risk. LOVED IT!! Favorite scene was "be our guest"!! great job!! How to change the window10 ringtone and you are not conform the use of this website if you are agree to continue the Maine website http://changeringtoneinwindows10mobile.com and you have connect the majer use of the more time. We offers call girls service in Noida, Dial 9999416576.